Research findings for surname: Warren of Amherst County, Virginia, for the period of 1747 – 1830. This information was extracted from various sources available at the LDS Family History Library, Salt Lake City, Utah. 14 Sep 1793 John H Goodwin and wife, Mary, to Nehemiah Roysel for 12 pounds, 6 acres North side Lynch Road. Lines: Grantor, Sackville King, John Ward. Witness: Anthony Rucker, George McDaniel, Abraham Warren, Peter Roysel. 14 Sep 1793 John H Goodwin and wife, Mary to Nehemiah Roysel for10 pounds, ½ acre North side Lynch Road. Lines: Goodwin. Witness: Anthony Rucker, George McDaniel, Abraham Warren, Peter Roysel. 14 Sep 1793 John H Goodwin and wife, Mary to Nehemiah Roysel for6 pounds, ½ acre South side Lynch Road. Lines: John H Goodwin. Witness: Anthony Rucker, George McDaniel, Abraham Warren, Peter Roysel. 14 Sep 1793 John H Goodwin and wife, Mary, to Abraham Warren for 6 pounds, ½ acre North side Lynch. Lines: James Lashell, Goodwin. Witness: Anthony Rucker, George McDaniel, Nehemiah Roysel, Peter Roysel. 14 Sep1793 Elijah Moran and wife, Elizabeth, to Abraham Warren for 12 pounds, 100 acres branch Stovall. Witness: James Kingsolving. 20 Jan 1794 Abraham Warren, half brother of Jacob Pettyjohn to Rebecca Staton, daughter of William Staton, deceased. Surety: Jacob Pettyjohn. 18 Sep1797 William Guttry Sr to William Guttry, Jr for 66 pounds, 100 acres on Stovall Creek. Bought from Leonard Goff. Lines: John Merritt, Abraham Warren, Bowling Clark, Micajah Clark, Henry Robinson, Michael Coalter. 5 Oct 1802 Jacob Pettyjohn to Abraham Warren, both of Jackson County, in consideration of 500.00 for 287 ½ acres, being part of a grant to Howell Garrott, and conveyed from said Garrot to Samuel Nelson and John DePriest to the said Pettyjohn. Signed: Jacob Pettyjohn. Witness: James Henricks. May 1818 Jackson County Ordinary Court ordered that letters of administration be granted to Ralph Bailey and Rebecca Warren on the estate of Abraham Warren, deceased. January 1819 Jackson County Ordinary Court. 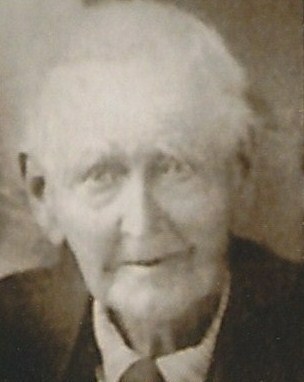 Ralph Bailey, one of the administrators of Abraham Warren, deceased made his return which was allowed and ordered to be recorded. Mar 1746 James Warren and wife, Elizabeth, to Thomas Chambers. No amount listed. 25 Mar 1748 John Warren to James Warren; James Warren, the Younger, Lunenberg, Bitty Whittle, wife of Matthew Whittle; Sarah Coffey wife Charles Coffey; Eleanor Rucker, wife of John Rucker; Grace Warren. Last four of Albemarle. For 100,000 pounds to be paid in equal proportions – one eighth to each; minerals that may be discovered on 276 acres on John Warren’s on North side Buffalo Ridge (Amherst), 200 pounds excepted as working costs – 1000 years. To pay on feast day of St. Michael from sums earned. Witness: John Harvie, Joshua Fry, John Coffey. 8 Apr1760 William Fockner and wife, Priscilla, to William Terrel Lewis for 20 pounds, 132 acres patented 10 Sep1754; branches of Moore’s Creek. Adjoining James Warren Jr., John Harrison, David Reese. 12 Oct1761 John Campbell, Orange Co. NC to James Glen for 36 pounds, 150 acres Mitchum River branches, Rich Cove; patented to Campbell, adjoining. Henry Tyrel, James Warren. Witness: William Wood, John Wood, Michael ?, Thomas Smith. 26 Jan1763 Elias Dehart to William Duiguid, Buckingham, 25 pounds, for 112 acres, both sides of Porridge Creek. Lines: Dehart, William Tacket. Part of 300 acres tract pat to Elias Dehart 20 Aug 1760. 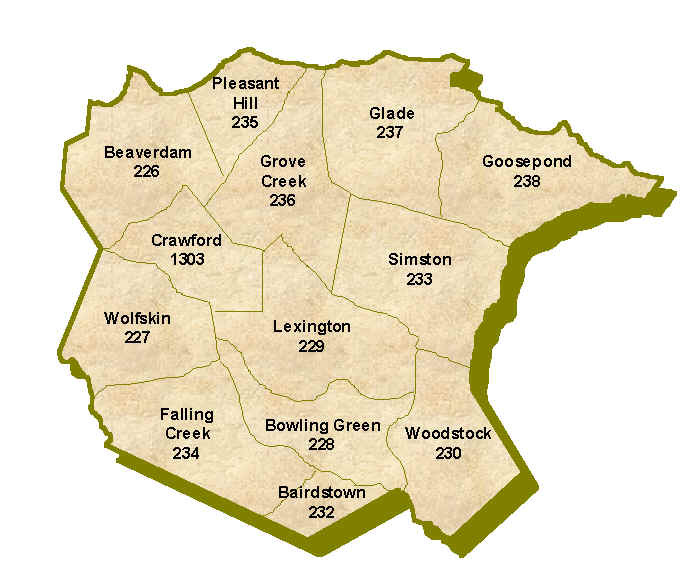 Witness: Aaron Dehart (X), Mathew Whittle, James Beckham, James Warren, Jr, (X), John Warren Jr.
4 Aug1763 Joseph Crews and wife,Agnes, to William Dillard, Hanover, 40 pounds for 195 acres…both sides of Rocky Run, a branch of Buffalo River, and part of 400 acre tract where James Warren now lives. Witness: James Dillard, Thomas Robertson, Mary Ann Tenison (X). 20 Jun1766 James Warren to McPherson & Minizies, Henrico merchants for 5 schillings to secure debt of 15 pounds both sides of Stoney Creek, 205 acres. Lines: Charles Christian, William Dillard, and piece of land of Col. John Chiswell whereon John Warren lives and land whereon James Warren now lives. (X) of James Warren. Witness: Thomas Reid, Gabriel Penn, William Penn. 4 Sep 1767 James Warren to Ichabod Camp, for 37 pounds, 168 acres. Lines: North side Rockey Run; William Dillard. Witness: Thomas Reid, Gabriel Penn.